Jared Smith is a development team lead at BoomTown in Charleston, SC, where he specializes in engineering on the company’s WordPress-based consumer sites. He brings over ten years experience with the WordPress platform to BoomTown, providing subject matter expertise not only within the development team but also throughout the company. In whatever time there is left, Jared runs @chswx on Twitter. @chswx is the most-followed Charleston-specific weather source in the Lowcountry, and works closely with local media and the National Weather Service to ensure that critical weather information gets disseminated with as little hype and as much substance as possible. [00:00:04] Speaker: You’re listening to Community Signal, the podcast for online community professionals. Sponsored by Higher Logic, the community platform for community managers, and Structure3C, expert community strategy for large organizations. Tweet with @communitysignal as you listen. Here’s your host, Patrick O’Keefe. [00:00:26] Patrick O’Keefe: Hello, and thank you for joining me for a fun episode of Community Signal with Jared Smith, the Consumer Software Development Manager at BoomTown; Creator of @chswx, that’s Charleston weather on Twitter; the co-author of 2005’s Building Online Communities with Drupal, phpBB, and WordPress; and a former moderator of mine going back to when we were both in our teens. If you find value in our show, we’d love to have your support on Patreon at communitysignal.com/innercircle. Thank you to Luke Zimmer, Dave Gertler, and Maggie McGary for being among our backers. 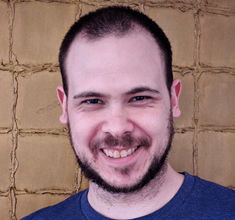 Jared Smith is a development team lead at BoomTown in Charleston, South Carolina, where he specializes in engineering on the company’s WordPress based consumer sites. He brings over 10 years experience with the WordPress platform to BoomTown, providing subject matter expertise, not only within the development team, but also throughout the company. In whatever time there’s left, Jared runs @chswx on Twitter. @chswx is the most followed Charleston specific weather source in the Lowcountry, and works closely with local media and the National Weather Service to ensure that critical weather information gets disseminated with as little hype and as much substance as possible. As I mentioned at the top of the program, Jared is the co-author of Building Online Communities with Drupal, phpBB and WordPress, which was released in 2005. Jared, welcome to the program. [00:01:39] Jared Smith: Thanks, buddy. Good to be here. Excited to be here. Great as always to talk to you Patrick. [00:01:44] Patrick O’Keefe: Yes. Jared is one of my really closest friends known him for a long time, I think from online community. I set up this call with him. I do two awful things. First of all, I’m late because I was talking to a senator from Massachusetts who is really deep into the net neutrality and there was just this meet up I was invited to and I wanted to do that. So I was late for that. Then I get him on here and for the first time I think it’s ever happened in the history of this show, I realized that I wasn’t recording that side of the audio. We just did five minutes, and thankfully I caught it. I like to share behind the scenes of the show. Not everything will always go smooth, but we’re back together again. It is always such a pleasure to talk to you. It’s been too long actually since we’ve spoken. It’s good to have on the show. [00:02:23] Jared Smith: Thanks man. [00:02:24] Patrick O’Keefe: Your first noteworthy entry entry into online communities was as a high school kid who loved Van Halen. [00:02:32] Jared Smith: Yes. You nailed it. As crazy as that sounds, you got to start somewhere, right? When you’re a high school kid growing up in the ’90s and the 2000s and you like Van Halen, that is a very isolating, very lonely place. You have to look very far and wide to find your friends and find your posse. Thanks to a site called VHLinks.com, which was still there. I actually went there last night, poked around a little bit, still kicking. I met some like-minded folks including some people, a group of folks that I’ve come to know that we all called each other the dirty faced kids because we were all very young, comparatively speaking. [00:03:11] Patrick O’Keefe: That’s the cool thing about those communities, right? Because unless you came out and said, “I was a teenager.” You could hang, right? Because you knew Van Halen. [00:03:17] Jared Smith: I could try. I could try and hang. I think it would eventually have come out one way or the other. There were some that may have been a little more oriented than I was. I was, again, 15 years old and wearing Van Halen t-shirts. [00:03:30] Patrick O’Keefe: Right. This was ’90s. This is a ’90s kid. It’s not like ’80s and 1984 comes out and you got David Lee Roth. That’s not that Van Halen. It’s the ’90s and you just love Van Halen. You just didn’t have anybody at school that you could really connect with around that. [00:03:44] Jared Smith: Yes. 1984 came out five months before I came out, to give you a general idea of a frame of reference there. That’s the beauty of online community, right? Is that you go on there, you get all these like-minded folks, but then, the other part of that too is that it had a very vibrant non-music forum. It had a very vibrant non Van Halen forum. That’s where we got into more philosophical discussions, and I really did a lot of growing up there. It is really fantastic. Several key things that I remember. One, I helped a fellow forum member, one of the moderators there out, with his Windows machine for four hours over the phone. Keep in mind this is not cellphone, this is wired up in the kitchen, just like sitting on the thing and we’re talking through stuff. He sends me a whole CD full of bootleg Van Halen shows, which was fantastic. Still listen to those today. [00:04:31] Patrick O’Keefe: I feel like you helped me out over IM with my Windows machine for four hours one day probably. [00:04:37] Jared Smith: I’m sure I have. My experience at VHLinks.com led me to start my first community, which was windowslaunchpad.com. Way back in the day, if you know that site, oh my goodness. [00:04:47] Patrick O’Keefe: How the heck do you know it? You must have known Jared for a long time and found this podcast on Facebook or Twitter. That was a cool website and it was a really well designed phpBB 1, which that’s something that I think I was super serious about at the time but now we might joke about the idea of. It might have been easy board. No, no. That was Jared’s realm, no. I think it was just the idea that, what was it? You made phpBB 1 not look like phpBB 1, is that what we would say? [00:05:12] Jared Smith: Yes. That was basically it. First, phpBB 1 came into my life two weeks before I almost plunked down 180 Bucks for a UBB license. I really liked the layout of Infopop’s UBB. I don’t even know what they’re called now, but it was Infopop at that time, the ultimate bulletin board. [00:05:30] Patrick O’Keefe: Actually, I had Rosemary O’Neill on the show and it was her and her husband Ted O’Neill that really put a lot of that together. They own the brand Infopop and that UBB time. Now it’s Hoopla and Social Strata. Yes, just another name that’s been around for a long time. [00:05:46] Jared Smith: Yes. I loved that format. I did not like the licensing and I didn’t really like Perl. When phpBB comes out, it does two great things. One, it’s all dynamic so I can make any changes I want on the fly, hit refresh. I don’t have to do update threads or any of that garbage. That was fun. Two, it was free. It was open source, absolutely fantastic, but it was ugly. They acknowledged that. They got a professional designer to do subsilver, the theme in PHP2. [00:06:15] Patrick O’Keefe: Yes. It was hackable though, right? That was the thing. It was hackable. You could make it look like you did. [00:06:19] Jared Smith: Man, and it was such a great beginner project for me too, because that was really my first major foray– the databases, was my first major foray into writing PHP code, into scaling up phpBB and making it even more usable. Yes, the idea was, take phpBB, just hack it up, beat it up, do some really amazing things, take the features that it has and extend those to some additional database queries. Then you have to create a few indexes and then hope for no security holes, which it had bad ones. Maybe we’ll get to that story. [00:06:53] Patrick O’Keefe: Yes. We will. That’s funny because deep inside, Jared, the basically senior engineer for this major real estate software company is that kid that was hacking phpBB 1. It’s almost like that’s the foundation of the developer you become almost. [00:07:09] Jared Smith: Yes. It absolutely was the foundation for my whole career. If you think about that, I was always interested in web publishing. Windows Launchpad was a static site on GeoCities in Silicon Valley Haven. I will never forget that. That’s burned into my brain. [00:07:23] Patrick O’Keefe: Okay. My Miami Dolphins site was Coliseum Arena 8884. I’m dead serious. [00:07:29] Jared Smith: Yes. I was sitting at 5671, so there you go, GeoCities. I would have a very hard time finding somebody that’s my age who’s working on the web that didn’t do something with GeoCities. A part of me died when they shut that down. All good things must come to an end. But it was a static site at GeoCities, absolutely fantastic. Then I wanted to get a little more dynamic, wanted to have a little more fun again. My experiences on the Van Halen forums, really sort of was like, “Hey, you know, I could do this. I want to try one of these. I want to try running one of these.” It taught me a lot. It taught me a heck of a lot. So, we take each phpBB 1 and I skin it to death for Windows Launchpad. A funny thing happens, I get very disinterested in the static part of the site and I’m going full time in the community. So it basically pivots from this website where I published some tips and tricks and stuff for Windows, and it pivots to this community. It got some decent traction. Me being 16 years old, I didn’t know what the heck to do with it, and eventually, you get bored. Another thing is, is that I started turning more to the open source side of things, but I mean, Windows Launchpad, I got a Microsoft MVP for that sucker. I was a Microsoft MVP for one year. People who have met me in the last 10 years since I’ve turned into a Mac guy will be completely shocked. [00:08:43] Patrick O’Keefe: What led you to me? What led you to me and to phpBBHacks.com? [00:08:48] Jared Smith: Yes. There I am on the phpBB forums, and I believe it’s a showcase your site thing. Because again, phpBB brand new open source project. I don’t even remember how I found it. I think I was just looking for free forum software. There was Phorum, P-H-O-R-U-M, I didn’t like the layout of that. I wanted something UBB-like. There was Ikonboard which was Perl-based at the time, and I really wasn’t interested in that. So, phpBB really fit the bill for me. I start banging on it. They have a little hack section and stuff, but then, my prior experience with UBB let me believe it’s like, “Okay. Where is there a site that I can get modifications for this guy?” Let’s really wind back in time. UBBhacks was a website that distributed modifications for the UBB software. They were text files, and you installed those, you ran the Perl scripts, you did update threads, you did all that stuff. Getting the opportunity to mess with a couple of UBBs led me down a road. I learned some Perl and that was great, but switching to phpBB where it was like, “Okay. The licensing for phpBB is so much better. It’s open source.” I was like, “Okay. We need hacksite.” As it turned out, this 15-year-old kid who was interested in the Miami Dolphins and in stock trading and things like that started a phpBB hack site. We got to talking. I eventually contributed some of my modifications from Windows Launchpad over to phpBB hacks, and here we are now. [00:10:10] Patrick O’Keefe: Yes, so much longer. [00:10:12] Jared Smith: Almost 20 years later, we’ve doubled our age and some since that happened. There you go. This is the power of community. We’re still very young. [00:10:24] Patrick O’Keefe: Yes, I know, it is. You’re not going to believe this, but I actually Googled UBBhacks right now just to see if there is some remnant of that site laying around. If I scroll down the first page, talk about small world, one of the links on the first page is to a text file of a hack that is hosted on VHLinks.com. [00:10:43] Jared Smith: Yes it is. [00:10:44] Patrick O’Keefe: Authored by, I assume, the person behind the site or a dev on it. It’s like, talk about a small world moment right there. [00:10:50] Jared Smith: Brett Norton is the webmaster. He’s still there. He’s still there. He wrote a lot of hacks for Ultimate Bulletin Board. I didn’t find that out until later, because I knew that he had a pretty customized website. VHLinks was sharp. For that time period especially, VHLinks was sharp. He had Top Timmy the designer, which is the play off from the Top Jimmy of the 1984 album, and they were a power team there. I mean, seriously impressive. I wanted to be VHLinks, but for something obviously not Van Halen, because they’re already doing that. [00:11:21] Patrick O’Keefe: Let’s pause for a moment to talk about our great sponsor, Higher Logic. Let’s talk about the time you hacked my site. [00:11:59] Jared Smith: Yes, let’s talk about that. [00:12:01] Patrick O’Keefe: That’s the story, so let’s hear the story. The time you hacked my site, how do you begin that one? [00:12:06] Jared Smith: Let’s talk about hacking Patrick’s site. All right. Patrick went on vacation for a week and I was tending to the garden. Keeping an eye on things, everything was going fine. Then I think was like a Wednesday night, or something like that, I started noticing something funny. As I recall, there was like an H1 inserted into the top of the thing. It was a major phpBB 1.2.1, had a significant severe security vulnerability, where people could just elevate themselves to admin access just by editing their profile. It was really bad, it was a SQL injection. If you’ve ever seen XKCD with a joke, Little Bobby Tables is what we call them, it was as that attack. It was a SQL injection attack, it was Bobby Tables. They had broken in and they’d like defaced a bunch of stuff, “Well, crap. What am I going to do? I have moderator access but Patrick is the only admin. So, if you can’t beat them, join them.” I read the vulnerability and I elevate myself to administrator, and a buddy of mine is helping me with this. We elevate ourselves to administrator and we repel the hack. I don’t have FTP access so I can’t patch the hole, but I at least can get in there. So, if this guy is going around, I can at least fight back and restore the site to a thing. [00:13:25] Patrick O’Keefe: Yes, I still have the email. I don’t have it with me because I’m traveling, I wanted to pull up and quote it but that’s basically what I remember. Was that it’s like, “Hey, Patrick, I’m sorry. We had to do this and we’ll talk later.” To be fair, I love that story, I love that you did it. If I was to have anyone hack my site, you would be at the top of the list. Hey, it earned you such a place that when you got married we live streamed your wedding on phpBBHacks.com. There you go. That’s how legends are made, by hacking my website. [00:13:54] Jared Smith: Yes, exactly. It was one of those things where it was just like, “Man, you got to do what you got to do.” I think that experience is another one of those formative things. So, you just look for a way to get it done. That was just maybe taking it to the extreme a little bit, but sometimes you got to do what you got to do. [00:14:08] Patrick O’Keefe: You got it done. You got it done. One of the cool things that came out of you being a moderator for me was that APress, a technical publisher reached out to me and asked if I would write the phpBB section of a book that they were hoping to put out. I was not qualified, but I knew who was. You did an awesome job there. When I was thinking about this episode, I realized that Building Online Communities with Drupal, phpBB, and WordPress came out at the end of 2005, which was before a lot of community books. Really, two things stand out to me. First of all, obviously those are still three projects that are going strong. Some would say their popularity has changed, but they’re still actively developed. If you can keep going, 13 years later, obviously WordPress is in a whole different place. That’s amazing. You work on WordPress, that’s kind of a funny irony. Also, it underscores sort of– I don’t think we’re going to get into this too heavily, but just the phpBB developer mentality that maybe led to that decline. Because the reason they came to me was because the phpBB, the official people, didn’t want them. On your book, you had the core dev for Drupal, you had a co-founder of WordPress, and you had you. You were a moderator on my phpBBHacks.com. That was your primary qualification, which was a great one, mind you. I’m not speaking down about that. That mentality created a lot of opportunities for us, which I guess is the silver lining of that, is that when the official resources shut people out, they go to the unofficial resources and new opportunities are created. That’s not even the first book that I spawned. Turning a book down and connecting them with someone. The first phpBB book was written by a member of our community, first ever focused one on it, and then your book was– I think there was another one that came out of our community. I never thought of it that way until now, but I guess the silver lining of that is it created opportunities for us that, that mentality of kind of shutting out outsiders. [00:15:55] Jared Smith: I’ll never understand that. I will never understand some of those decisions. While I am grateful for those decisions, they have personally helped me and helped you very well, and I loved doing that book, that was such a cool experience. Especially 20, 21 years old and I’m getting into a book. I mean, holy cow, man. That’s so cool. [00:16:16] Patrick O’Keefe: I’m so distant from it now that there was a time that I would be political about it and maybe not speak this publicly, but I have said things in public before and now I’m so distant from it, I don’t care what anybody thinks. I don’t run, I’m for six years removed from that site. [00:16:29] Jared Smith: For a group of guys who’s putting together software to connect people, they’re just really insulated and weird about it. That’s a shame because if you look at the success of Drupal, you look at the success of WordPress, especially WordPress. Drupal found a niche with government contract and everything, but look at WordPress. Again, they send a co-founder Mike Little to work on this book. Matt Mullenweg is still extremely involved. He leads releases. He’s in there. Again, it’s a difference in mentality. The WordPress guys want to be the organization that drives WordPress adoption. They do WordCamps, they facilitate the user groups, and it’s just a different mentality. We miss the key thing here. phpBB, they eventually tried to drive on their end, but they tried to shut out anybody else, including you. [00:17:17] Patrick O’Keefe: There’s a book there one day, it was such a surreal experience. It was what I like to refer to as my open source politics degree basically. It was such a weird political, like if I ever run for office, I feel like I have a taste, maybe a little bit, about what happens. It was just such a weird experience. They came up with these things where it was like these stories about things that I had maybe supposedly done that never happened. It’s just all these things that try to cast me in a bad light and still, and yet, phpBBHacks.com was the largest community of people authoring customizations of hack and style authors. We had 1500 authors that contributed over 4500 works that were downloaded. I think it was more than, what was it? 33 million times? I don’t know. It was a lot of times. [00:18:47] Jared Smith: It was a lot of times. [00:18:47] Patrick O’Keefe: It helped the growth of the software. Now, would they ever admit that? Who knows? Who really cares? At the end of the day, we were there for developers and for users. We served that audience very well but the environment was so incredibly hostile to unofficial resources. There was no relationship. It was like we were cut off from them and we were, at some point, okay with that because we had to be. It’s just not the way that you sustain a long-term relationship with your developers and unofficial resources and people creating customizations to your software. I think that, for a number of reasons, phpBB usage a whole of community software usage has declined, but that’s certainly one of them. [00:19:25] Jared Smith: It’s interesting too because you can see some of the security reasoning behind it maybe, but there’s ways to go about that. Like WordPress, again, every plugin that goes up there, I think they do some light review on it. I’ve never submitted a WordPress plugin. [00:19:38] Patrick O’Keefe: They do. There’s a process, yes. [00:19:39] Jared Smith: There’s a process, and I think that’s fine. I have no problem with validating and making sure that things are trustworthy and good. I think we can do a pretty good job of that. The beauty of open source is that you download it and read the source code, right? [00:19:53] Jared Smith: That’s number one. Number two, if you are programming, if you don’t know what you’re looking at, you shouldn’t be going around patching that code. Again, this is well before WordPress and its plug-in system or even phpBB 3.2, or something like that, with its modification system they finally– they did an auto patcher and I think they went to a plug-in architecture. [00:20:12] Patrick O’Keefe: They’ve come a long way. [00:20:13] Jared Smith: For sure. WordPress really is the gold standard for extensibility. [00:20:19] Patrick O’Keefe: Just to be clear real quick, sorry to interrupt you. What we’re talking about now is phpBB and people who were involved 10 plus years ago. The people that are involved now, it’s just turn over. For the most part, it’s totally different people that have come a long way and don’t deal with that baggage. You don’t blame the son for the sins of the father, so to speak, or the child for the sins of the parent. Sorry, go ahead. Continue. [00:20:38] Jared Smith: That’s an important point to make. Again, I have moved on from trying to run forums. [00:20:44] Patrick O’Keefe: For now. Maybe it’ll draw you back one day. [00:21:42] Patrick O’Keefe: We can argue about approaches. There are different approaches. Android App Store, Apple App Store, we can argue that stuff. It’s in the minutia, the details of how you go about that and how you communicate that and transparency and honesty of that, that I think is the real problem, right? [00:21:58] Jared Smith: Absolutely right. There’s a way to go about it. Unfortunately, I hope there were some lessons learned. I think there were some lessons learned. I think you can look at phpBB. It’s kind of a cautionary tale. Again, they were out there in a way that most projects didn’t really get to. UBB and vBulletin being behind license things, that changes the game. With these open source projects, they had no template. As much as we may feel miffed about this, again, we also should keep in mind that the phpBB guys, they were making it up as they went along. [00:22:29] Patrick O’Keefe: That’s a fair point. [00:22:30] Jared Smith: That’s not a good or bad thing. That’s just what it was. Could it have gone better? Yes. I think if there was a retrospective. If you look at the longevity of phpBB hacks and– it weathered all of that. I think that’s the important thing. [00:22:46] Patrick O’Keefe: Weird stuff. Here’s one example. To become a developer on phpBB, you had to quit my staff. [00:22:53] Jared Smith: See, that’s not cool. That was not the case very often. I don’t know if that was the case at all. It might have been once or twice in the really old days. That kind of thought process is tough for an open source project to survive under. They’ve done a great job. They have survived, but still, it just hurts the potential. It hurts the growth. I feel like more recently, they followed the WordPress model as you’re describing. [00:23:42] Jared Smith: It’s a great model. Working on that book is what introduced me to WordPress really seriously. [00:23:47] Patrick O’Keefe: It’s so funny. [00:23:48] Jared Smith: That book actually is really funny. I did phpBB exclusively and then I basically pivoted my career to WordPress and blogs, and now I do it professionally. [00:23:57] Patrick O’Keefe: Just follow the timeline there, is you are a kid looking for an online community, you found one. It gave you an interest in communities, you hosted your own communities. You became interested in the software in those communities. You became a moderator. You got into that software, you wrote a book about that software. That book, it was talking about a different app, WordPress. You got interested in that app, you got really good at that app. You became the webmaster of ReadWriteWeb. You got a job at BoomTown and you’ve gone from there and then obviously, there’s a lot of peaks and valleys in there. That’s the essential timeline of how someone, how a kid in his teens, goes from joining online community and playing with some code to having a good serious job over what is a long time, but also not a long time. You’ve really progressed in a really wonderful way and it really stems from that interest in community and community software. [00:24:47] Jared Smith: Absolutely. Without that, I don’t think it’d be interesting. Again, I think the beautiful thing about the internet is that anybody can publish and have a free form discussion and it’s phenomenal. The bad thing about the internet is that anybody can publish, it’s a very free form discussion, but [laughs] and I would be remiss to note in that timeline there was a little Drupal consulting work there. We’ve really hit all three from that book. I’ve used that book for the Drupal consulting too. There’s a whole lot in there to unpack and it’s pretty fantastic. Community is the most important thing, right? It’s about who you run with. If community weren’t important, you look at Facebook would not be a multi-billion dollar company, right? For better or worse. These centralized networks, they make me nervous. I say this as a guy with a very large Twitter account doing weather. That I’ve had opportunities to meet people and partner with people that I would never have had an opportunity to do otherwise. [00:25:40] Patrick O’Keefe: I like to stop there and welcome our newest sponsor, Structure3C. With Charleston Weather, that Twitter account is really– that’s sort of your biggest driver of interest was the sort of live nature of Twitter, correct? [00:26:15] Jared Smith: Correct. That’s exactly it. For weather information and things like that, Twitter lends itself perfectly. Sequential Twitter. Chronological Twitter. [00:26:22] Patrick O’Keefe: Yes. That’s so funny. It’s funny you mention that because I wanted to bring that up with you. Because I watched the video you did a conversation with Quinton Washington on YouTube and you mention how social networks aren’t doing a great job of respecting chronology. The shift away from chronological order to more algorithmic sorting. Obviously, that touches online communities a bit. Talk about that. The lack of respect for chronological order. [00:26:46] Jared Smith: Life is not lived in slices. It’s not lived out of order unless you’re on something very interesting. Life is not lived in different time slices of different periods. It is lived in chronological order. I understand why Facebook would algorithmically curate your feed. I get that. One they can’t do it by hand, right? That’s just not doable. [00:27:09] Patrick O’Keefe: Mark’s only got two hands. [00:27:10] Jared Smith: Right, exactly. He’s only got two hands, but he’s got like 10 of the same t-shirt, right? Facebook, they really took it in another direction. The problem with Facebook is that, it’s not so much that I care one way or the other that the feed is sorted. There might be just for skimming purposes maybe that’s not so bad, but I want the option to look at things chronologically. I want the option to see everybody I’m friends with. We could do a whole show on how Facebook has worked the definition of friend. You could do a whole year of Community Signal on Facebook’s impact on online community. [00:27:48] Patrick O’Keefe: If you caught up all the times I’ve talk about it, I practically have probably done a couple of shows about it. Let me tell you, it’s not good. [00:27:54] Jared Smith: Yes. It really isn’t. They started it. Facebook is the social network darling in Wall Street. They’ve just now started, for the first time ever, had a decrease in users this past year, which is very interesting to me. [00:28:07] Patrick O’Keefe: Facebook is one thing, but has Twitter, is it a mistake on Twitter? In your case, you’re saying people who are– you’re posting weather alerts that have a shelf life. That shelf life might be five minutes or an hour, but it’s not long. So, you’re having the people in their feeds, they’re looking at Twitter.com and because it’s saying like, “Larry Smith liked this tweet.” It’s showing the size of content based on who you follow, and that tweet could be from a day ago or that he could have liked that a day ago, and yet they’re receiving it as if it’s an active alert. [00:28:56] Patrick O’Keefe: So you got to put a date stamp on it? [00:28:57] Jared Smith: So then you put date stamp on it, okay. You do that. You do that in whatever format that you desire. Okay. So instead of your 280 character tweet, this is impossible to do in 140, right? It completely just blows out the utility of it. Twitter was founded on the idea of real time, what’s happening? What are you doing? You’ve been on Twitter a long time if you remember when that was the question. What are you doing? What are you doing is necessarily a linear and chronological question. So, to start throwing in things from the feed, now, I’ll say that I’m not as hostile towards, “In case you missed it,” because at least I know those are old, right? Clearly marked, it’s old, but then you start mixing in retweets from days ago that look like they just happen. You start mixing in likes. The likes that act like retweets. These might just be people’s personal bookmarks. The use of like and favorite on Twitter has a long and storied history. They tried to define that, but you go through somebody’s likes, it might be bookmarks or something like that. They might be using it for something completely different. They might be liking tweets that they might not necessarily agree with, and it could cause issues down the road. You stick that stuff in there, and yes, in the weather industry, Facebook is worthless. You’ll hear meteorologists say this, and I agree. I do very little on Facebook. Because you don’t know, number one, like you alluded to earlier, you don’t know if you’re going to get that reach. You can pay them a little money, but you don’t know that you’re going to get that reach. It could be critical information, and they don’t make any exceptions for that. They might do that for the government accounts, and that’s fine, but at the same time, it’s like you get some of these accounts that are posting things that are absolutely sensational, not grounded in ethics, not grounded in science. Maybe they took one model run picture and posted it up and say, “Alert mode,” and they start freaking out and inducing others to freak out and sharing it, and then Facebook is like, “Oh, this is important. Let me elevate this.” So that gets to another point. [00:30:56] Patrick O’Keefe: Yes, that’s the problem with using just numbers as a signal. [00:31:00] Jared Smith: You can’t just do it. [00:31:03] Patrick O’Keefe: Fake news. [00:31:01] Jared Smith: There’s no way for them to know. That’s exactly how it happened. I encourage anybody working in community, anybody who is doing any online community administration, responsible for anything like that, read Robert Mueller’s indictments of the 13 Russians and the Internet Research Agency. Seek that out, that came out I think it was the week of Valentine’s, if I remember correctly. Read that indictment. It’s very easy to read, it’s very clear, and see how all that happened. I wrote a piece in January of 2013 in response to, I suppose, a confession from “internet shell” where this person basically anonymously confessed to being paid to manipulate opinion online. I said then that we knew this was happening and that the fight against it was difficult and imperfect. We have always been told not to trust everything we read online, but I don’t know if enough people were told not to trust everything they read online that agrees with them. Your thoughts on Russia and the impact on communities and discourse. [00:32:31] Jared Smith: The funniest thing about being told not to trust everything you read online, that that was the first maxim that we heard at age 15. The same people who were telling you that were the ones who were most likely to share things that were put in Facebook by the Russians. So, that irony aside, yes, it’s a big problem. Facebook with its targeting of ads, you don’t have to spend much money and you can get a lot of eyes of the demographic that you exactly want. They’ve gotten hot water over this. You get the demographic you want right there and then, and you can really, really, really zoom in on them. You can really push their buttons. Most people, they see it and there is no skepticism. [00:33:11] Patrick O’Keefe: Yes. It’s also a fool’s kind of errand to think of it as just Facebook, right? Because it’s in the comment section of news sites. It could be in the comment section of the Des Moines Register. Of course they’re putting people into local papers. I’m not saying like the 500 circulation paper for the whatever that goes down the county road, but like the regional papers’ comment section. If those comment sections are open, they’re manipulating opinion in them. We have to assume that. It’s not just The New York Time’s comment section. They do a great job at New York Times moderating comments, we had Bassey Etim on the show before who heads up those efforts and is a friend of mine. They do a great job, but like wherever there’s comments they can manipulate, that could be an influential online form, it could be 4chan, like if you want to throw that out there, it is 4chan, really. It could be any online community space that has any influence. They have money and they’re going to put people in it with the intent of manipulating the opinion in those areas. [00:34:04] Jared Smith: Let’s also talk about verifying who these people are. First of all, I want to go on record and say that anonymous speech is still the most important speech that we should protect on the internet, because from people who are legitimately trying to speak out from regimes that are oppressive, they need the ability to stay anonymous. We need anonymous whistleblowers to do the right thing and speak up. Speak truth to power while giving them the option of keeping them self-protected. I’m a big fan of anonymous speech, maybe not so much when I was running a Windows forum and I had people flaming me for not liking the Macintosh, but I’ve changed and those people should now like me. That being said, we now get into this issue of verification. If you read that indictment, you’ll know that one thing the Russians did which was just crazy to me, is that they purchased stolen identities off the black market, off the dark web. They got visas, driver’s licenses. They stole these people’s identities. Guess how you verify on Twitter? Driver’s license. [00:35:01] Patrick O’Keefe: Well, I did not realize that today you had verified accounts. [00:35:07] Patrick O’Keefe: It’s not a big lead. [00:35:08] Jared Smith: Let’s also talk about, literally, anybody who’s ever participated in the American economy, their information is out on the dark web. Thanks, Equifax. Thanks for that. All they need is that information from that Equifax hack. They can produce a license, they can make a Twitter account. Twitter closed verification, probably for the best; they’re really curating that again, but in that brief window where Twitter had it open, they could have just stolen that identity, send it in, and they would have been none the wiser for it. That’s scary, because for better or worse, that’s what we’ve landed on as far as how to verify who is who they say they are. It’s the best we got, at least right now. There’s a lot of talk about blockchain and things like that; I don’t know that that helps. Always going to be a cat and mouse game; there’s always going to be a level a trust. I think that’s one thing that, again, you’ve got to use skepticism. I think the people lost a little of that. Internet has become a place where information is freely exchanged, and I think that’s great. I still think we’re better for it, but we need to have people just be a little more skeptical of what they’re reading. If it sounds too good to be true, if it sounds too far-fetched, it more than likely is. On the one side, there’s these independent folks who’ve done a great job writing and publishing news and information. Then, you have fearmongers who are selling pills that turn you red, and that’s all they do, but they make a ton of money off of it, selling conspiracy theories. We just need some skepticism. We don’t know the answer. [00:36:41] Patrick O’Keefe: Yes. We’ve had sockpuppets. That’s a term that’s been around for a long time. We have people, even on a more basic level, you have people who have participated as multiple people on the same community. They pretend to talk to themselves. There are stories of people creating multiple accounts to bully someone, in some cases, under some guise, drive some people to suicide, unfortunately. This is already a thing and they just took advantage if it. It’s tough. It’s just so tough, it’s a threat to discourse, but I think that– In my spaces, hopefully, I’ve always tried to say that, “You should not necessarily trust everything that’s going on here. Be careful. People have to build up credibility in the community.” Even that could be exploited, just like the verification system. Years ago, you used to have a forum on your personal site where, in your words, you, “had some incredibly in-depth conversations with my peers on topics that ignite so many Twitter flame wars. It was phenomenal discourse that put much of the bomb throwing you see online to shame, and we were only 16.” Great discourse at such a young age. Why do you think that was? [00:37:45] Jared Smith: Well, partially because we had to see each other every day. We had to go to school the next day and we had to face each other. [00:37:49] Patrick O’Keefe: So this was an in-person community? [00:37:51] Jared Smith: Yes. It was an in-person community that moved online. I think that the most effective online community is the one that you can take out offline. So, I think that helped. But yes, there was a level of civility, and I think it’s just civil people. Smaller group. [00:38:04] Patrick O’Keefe: That’s a great point. That’s one of the things I was going to say when I read this, is just the small groups are maybe the key to good discourse, whether you’re online or you’re at a town hall meeting. Big groups, unfortunately, just don’t lend themselves to productive discussion. [00:38:17] Jared Smith: No. There’s not a lot of time for nuance. Therein lies the problem of trying to explain very intricate topics on Twitter, which lends itself very well to bumper sticker slogans, but not necessarily to reasoned discussions of policy. I do like that Twitter has embraced the threading format, but what I would like more is if they’d just hook up with Ev Williams. If you’re going to do that, just hook up with Evan Williams again and do a tight Medium integration, and let’s get some thought back into this. It’s very easy to throw bombs; there’s a lot of it. Flame wars are as old as internet time. They’re as old as Eternal September on Usenet. They’ve been around forever. They’re as old as BBSs that you dial-in to. Believe me, let’s not pretend that flame wars are a new thing. They’re not. People get really very brave behind a keyboard. So, I challenge people in online communities to take it offline. That was something that we did very well in Charleston, I think. We had the blogger meet ups, we had the Twitter meet-ups. You take this stuff offline and it really forges these relationships wherever possible. I’ll say that the places that didn’t have that, the places that were more anonymous, a lot more bomb-throwing, a lot less respect for the person on the other side. Because again, at the end of the day, it’s very easy to lose sight of the fact that we’re all human. It’s unfortunate, and it seems like that’s leaked into a good bit of our national discourse. It all happens online now, and maybe that’s not so good. [00:39:43] Patrick O’Keefe: Jared, it has been a pleasure to have you on. Thank you so much for taking some time with us today. [00:39:49] Jared Smith: Patrick, it’s always a pleasure. I know that we could probably go four more hours, but we’ve got things to do. Man, it’s always fun to talk community and internet reminisce a little bit with you. It’s phenomenal how far you’ve come. It’s been a tremendous ride, and really, really, really fun to watch you grow in your career and grow this podcast and have the impact that I think we all knew you would. [00:40:13] Patrick O’Keefe: Thanks, man. I appreciate that. We have been talking with Jared Smith, software development manager, consumer at Boomtown, Boomtownroy.com, and creator of @chswx, a popular Charleston South Carolina focused weather resource on Twitter @chswx. Follow Jared @jaredwsmith. For the transcript from this episode plus highlights and links that we mentioned, please visit communitysignal.com. Community Signal is produced by Karn Broad. We’ll see you next time.